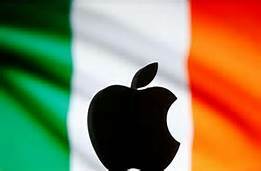 Emancipation & Liberation » APPLE AND IRELAND – WHO WOULD HAVE THOUGHT IT? Yet everyone in Ireland understood the big picture. The government held on like grim death to its 12.5% corporation tax despite pressure from Europe. It was willing to beggar us all to satisfy banks, bondholders and the Troika as long as the tax was safe. (An IMF insider reported that they managed to win local support for austerity programmes by allowing governments to pick one thing to reserve. Portugal picked social welfare – Ireland picked corporation tax). We were all told the details of the last budget, which included a knowledge tax that would have effectively halved existing rates of corporation tax. Details were published of legal changes to allow a low tax zone in Dublin. The US Senate labelled Ireland a tax haven. The term “double Irish” became slang for tax avoidance. Then we had the embarrassment of “Leprechaun economics” – large US firms squeezing their way into Irish shell companies to avoid tax produced an economic “growth rate” of 26% across the whole economy! In fact Apple is only one of thousands of transnational companies paying zero tax. There is no political, financial, legal or environmental control that Irish capitalism will not bend or break to support transnational capital or imperialism generally, the best example of this being the unconditional guarantee to banks and bondholders that bankrupted the country in 2008. We all remember their battle to crush the “Shell to Sea” movement opposing the oil giant, unrestricted (and continuing) access to Shannon airport for the US war machine, deals with vulture capitalism to sell off housing stock at a time of mass homelessness -and to allow the vultures to avoid tax! The rot doesn’t stop at government – union leaders either don’t organize in the transnational companies or sign sweetheart no-strike deals. Everyone knows of Ireland’s role as a tax tout. There is widespread acceptance of that role because many believe there is no alternative. In a straw poll following the European ruling calling for collection of the tax, 52% support a government appeal against it on the grounds that it would suppress further transnational investment. When the howls of indignation die away the task of explanation remains. The fact is that Ireland is a country dominated by imperialism. Irish capitalism has no interest in any form of economic or political independence. It serves the transnationals and the bondholders in a client capacity, extracting the maximum amount of value from Irish workers. Internally it acts as a kleptocracy, stealing everything available in a morass of corruption. The general acceptance of Ireland’s dependence drives social partnership between unions and bosses. The defeat of the northern struggle and Sinn Fein’s co-option into the maintenance of partition confirms that dependence and feeds the lack of a convincing opposition. The Apple scandal teaches us an important lesson about law. Endless pain was inflicted on Irish workers saddled with the banking debt. We were told that European law, European rules meant that there was no alternative. Now, when European rulings act against US capital, there is defiance. What there is is class struggle. Law plays second fiddle. A strategy of alliances in the Dail to legislate for a fairer society, separate from building a mass, anti-imperialist and socialist working class party is doomed to fail. We must also recognize that the alternative to imperialism is an anti-imperialist programme. The economic and political control of Ireland should be in the hands of the Irish working class. The natural resources should be exploited sustainably by ourselves. Our enemies will tell us that we are unrealistic. Yet we live in a system that cannot meet basic needs, that constantly robs and plunders, where massive corporations such as Apple find that the production of top end consumer goods is not enough to turn a profit without conspiracy to avoid even low levels of tax. There will be a great deal of outrage at Ireland’s tax deals. We will be told how many homes, hospitals, jobs and schools could be purchased with €13 billion. Eventually we must face the reality that this is not what capitalism and imperialism are for. Capitalism is in decay. We need a socialist society in which workers’ needs come first. If we begin that struggle then we will find we have allies across Europe and across the globe.